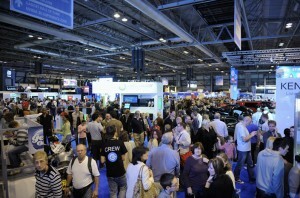 This was the third year for this event at the NEC and again the demand was phenomenal. The full capacity of 80,000 tickets for the live show in the Sony Theatre sold out in just 12 weeks. Jase, Jon, Ortis, Polly and myself performed 3 live shows a day over the 5 day period and had a ball. Paul Zenon helped us out – he’s an amazing magician and it was great to have him there. 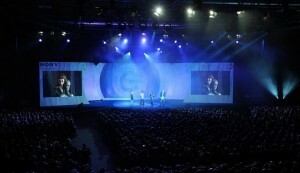 You can get all the info on the Gadget Show website but here’s just a few images taken during the run. 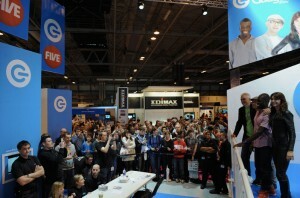 I am very busy filming Gadget Show items for the new series. 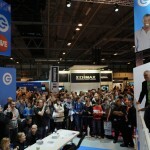 Initially I returned to work for Gadget Show Live and I can only describe the whole event as a phenomenal success. 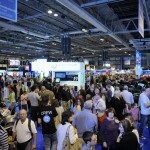 It took place at the NEC in Birmingham over 3 days and we were all totally shocked by the sell out figures and wonderful atmosphere. 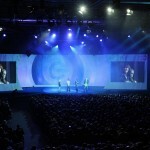 All four presenters appeared in the Sony Super-theatre to host 3 x 1 hour shows a day, which was a baptism of fire for me having been out of it for 10 weeks! However, adrenalin is a wonderful thing and I got through them all until the final show where I almost collapsed! 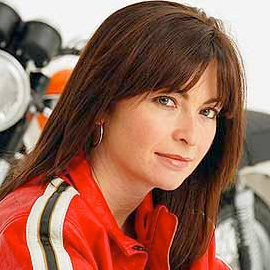 We are just coming to the end of series 11, most of which I missed through illness, but series 12 will be a long run of at least 20 shows, I just hope I am fit enough!